Compassion Airlift is a 501(c)(3) non-profit, charitable organization based in Manassas, Virginia, that provides patient transport flights originating or terminating in the Eastern United States. 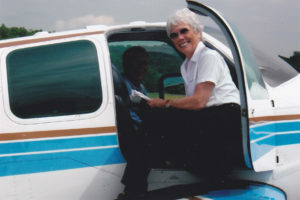 Transportation is provided in a stretcher-equipped, single-engine Beechcraft Bonanza flown by highly qualified and experienced volunteer pilots. 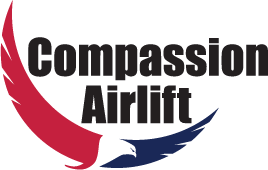 Compassion Airlift flights are available to military veterans and their families, children attending special-needs camps, and others who have a financial hardship and compelling air transportation needs for humanitarian reasons. Compassion Airlift stands ready to help when called to satisfy disaster or emergency response demands. Since 1977 Compassion Airlift (formerly flying under the Mercy Medical Airlift umbrella) has safely flown 2,500 patients more than 1.5 million miles to or from every state east of the Mississippi River. ​Compassion Airlift, LLC is an independent non-profit organization. 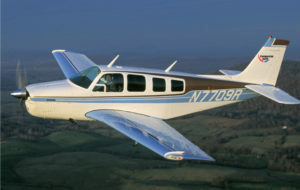 It previously operated as a part of Mercy Medical Airlift (MMA) and as the Bonanza Angel program. Every one of our pilots is involved because of a calling to help less fortunate people who have a financial and medical need for no-cost air transportation. Compassion Airlift (in fact, the entire MMA program) was established by our founders to serve that need, and the Compassion Airlift pro gram continues to exist for that purpose. The five owners and four non-owner PIC’s are all professional, experienced, accomplished aviators. Five have Airline Transport Pilot ratings, one is a former Army pilot; one is a former Navy pilot; one is a former Regional Airline pilot; one was a Corporate line pilot; one was Director of Operations for a Charter Airline; one was Chief Pilot, FAA Designated Check Airman, and FAA designated Flight Instructor for a Charter Airline; one was Chief Flight Instructor for a large FAA-approved flight school; five are FAA Certified Flight Instructors; and five have experience as Charter Airline line pilots. Their aggregated flight time is over 35,000 hours. All of our pilots donate their time, their talent, and their treasure to Compassion Airlift, LLC operations without compensation of any kind except for the satisfaction that they are helping people in need. Based in Manassas, Virginia, the Compassion Airlift Bonanza has been flying patients since 1977 and is maintained in top-flight condition. 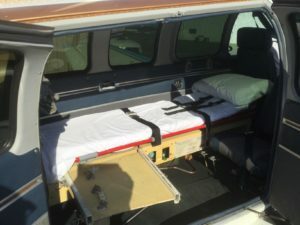 It’s the only single-engine aircraft in the eastern US with an FAA-approved stretcher system, installed for patients who need to recline during flight—especially veterans who have lost limbs due to combat-related injuries.